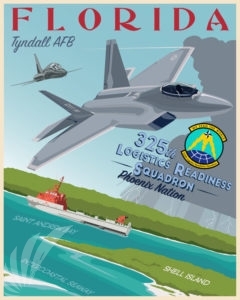 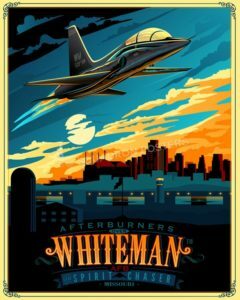 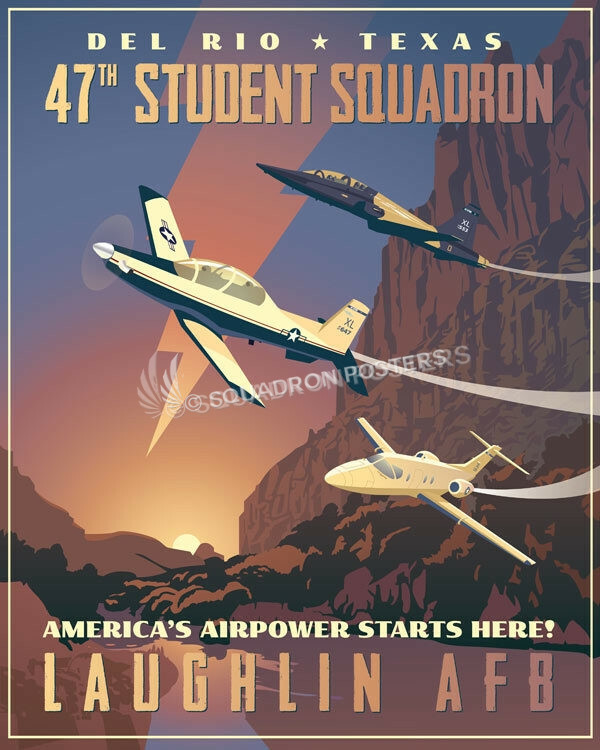 Laughlin AFB 47th Student Squadron poster art. 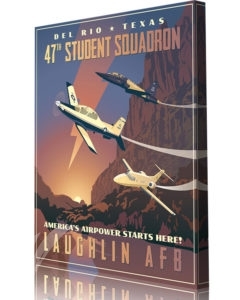 The 47th Student Squadron (STUS) is part of the 47TH Operations Group, 47th Flying Training Wing at Laughlin Air Force Base in Del Rio, Texas. 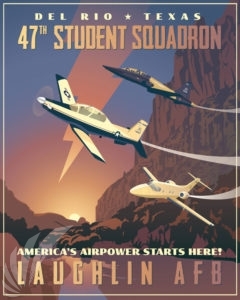 The STUS is directly responsible for the support of approximately 500 U.S. and international students currently undergoing Specialized Undergraduate Pilot Training. The Squadron also manages approximately 200 students awaiting pilot training and pilot training graduates waiting for transition to their next assignment. 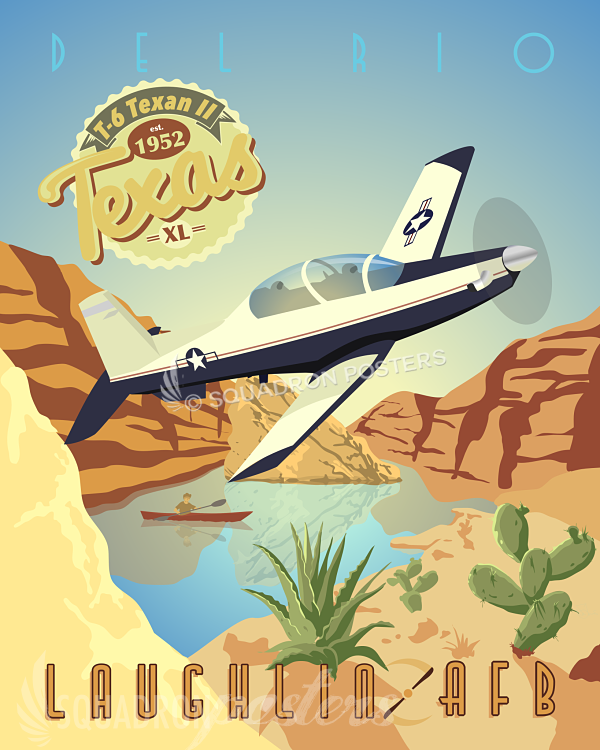 The STUS also oversees around 80 civilian simulator instructors who execute more than 40,000 hours of flying simulator instruction each year. 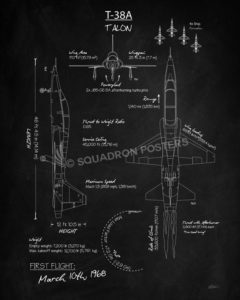 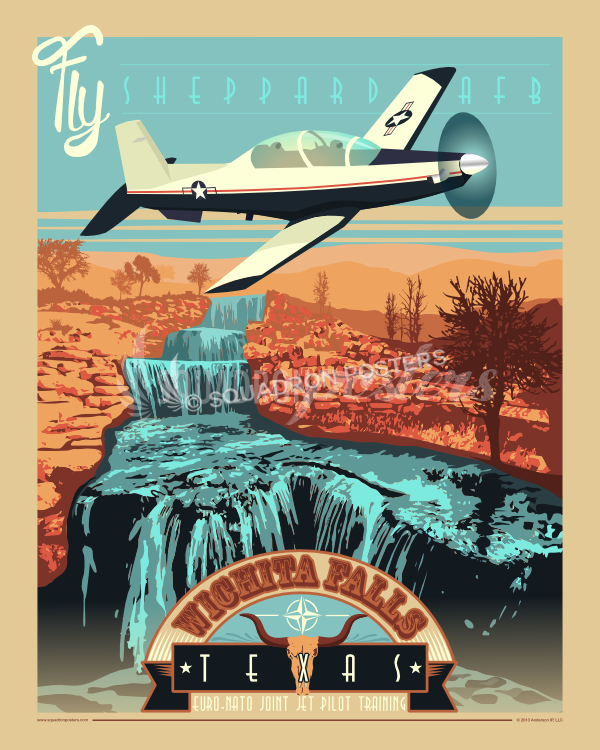 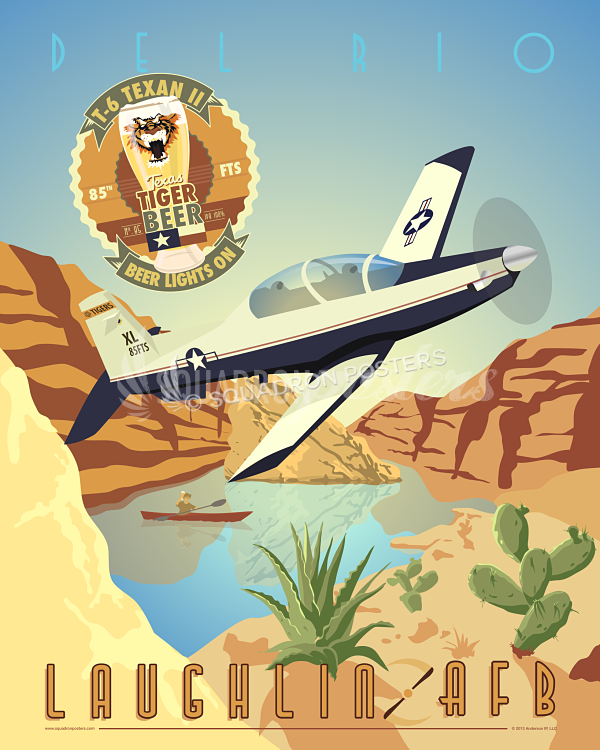 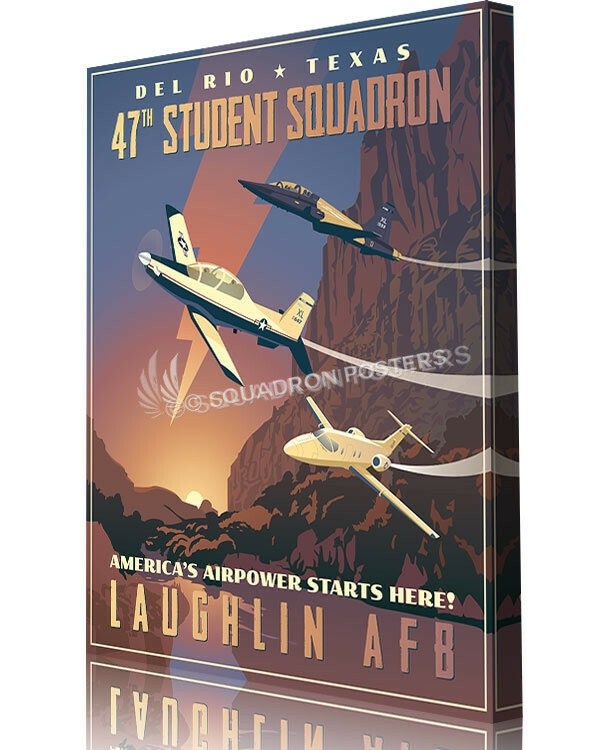 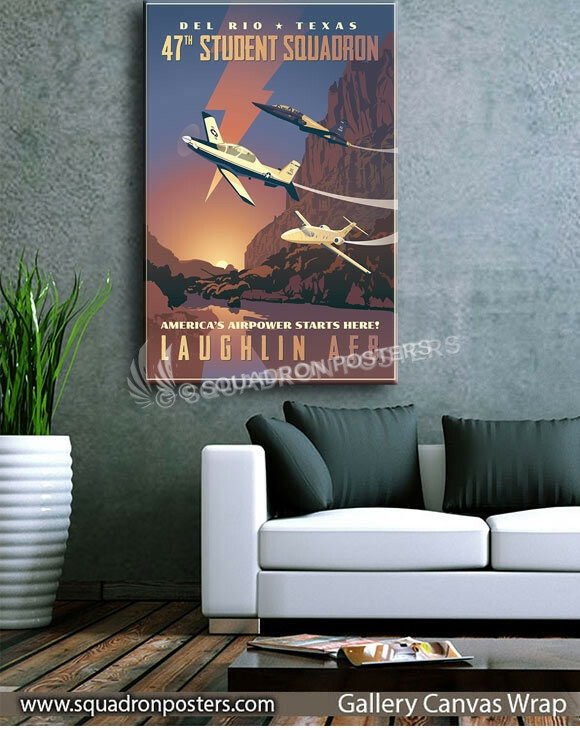 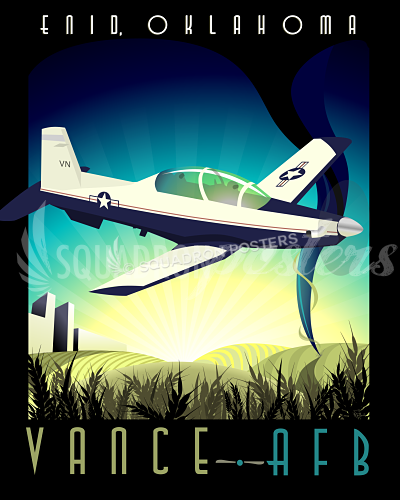 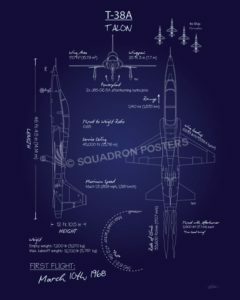 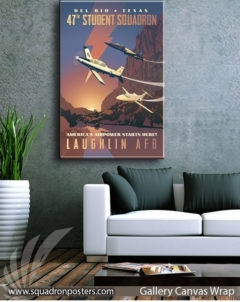 “Laughlin AFB 47th Student Squadron” vintage style military aviation art by – Squadron Posters!